How does Airbnb actually work? You are surely familiar with Airbnb. But do you really know what it is and how it actually works? Most people see it is a website to get vacation apartments, which is pretty accurate, but there’s more to it. Airbnb is an online company that runs through 200 countries and 35 000 cities. It is very similar to a hotel, however, you are usually staying in someone’s home and will not get the standard hotel frills. Airbnb is generally cheaper than a hotel, which is a huge advantage for them and is mainly what brings people in. It also gives travelers the chance to have a more local experience by living in an apartment. When guests are looking for an apartment they scroll through the listed properties in their city of choice. What is so cool and unique about Airbnb is that they have virtually every kind of place available. Whether it be just a bedroom, a whole house, a mansion, a villa or an apartment, they’ve got it. The easy to use website allows you to filter your results, see pictures and read recommendations about the host. In some cases, the host will also be living there, but either way, you probably will want to know more about who you are renting from. Browsers on the website can even message the host if they have further questions from the accommodation description. This is of utter importance since one of the biggest complaints about this company is the hosts. Your search results can be filtered by price, location, type, amenities, and even nearby attractions. If you would like to reserve, you must provide your payment information. But what’s great about Airbnb is that they only collect your payment after your request has been accepted by the host. The money gets ‘held’ by Airbnb for 24 hours upon your check. The policy exists in order to make sure that both the guest and hosts are satisfied with their transaction. As a host on Airbnb, your goal is to make money from your property while you are away on holiday or if you have an extra room and want to make the most of it. 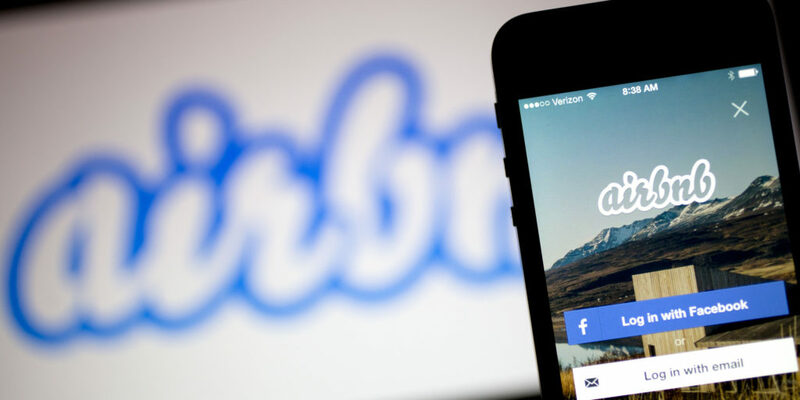 In order to have your property listed on Airbnb, you will need to create an account and get approved. You could, of course, advertise in another method, but Airbnb is known to be a successful and safe way to do it. It is a rather simple process, and then you just have to wait for requests and messages to come in. You will be charged a service fee for every transaction made, which is how the website makes money. Both the guests and the hosts can see each other’s profiles since you might want to know who is staying in your place, however, guests often do not have very much on their profiles. Opening up your home to strangers makes for potential issues such as damage or stealing. And that’s exactly why Airbnb offers $1,000 in damages in order to protect their hosts from these issues. As a guest of Airbnb, you have plenty of options in every city, as an Airbnb host, you have a great opportunity to make some extra money. But this does not mean it is a perfect system, such as the host and their property not turning out to be as described, or disrespectful guests who damage the property. It’s a risk that you have to decide if it’s worthwhile to take. Which countries are investing in global warming? Have you ever heard of the Hebrides?